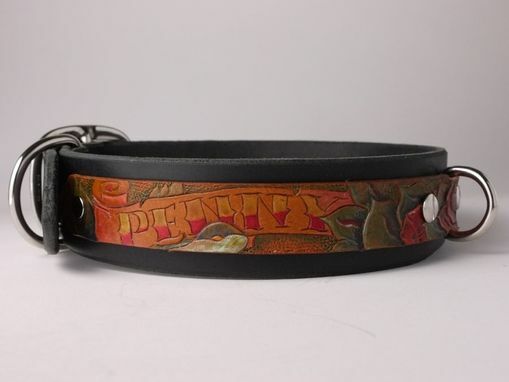 I originally designed this collar for a special girl named Penny: hence the name in the photos. She's an American Pit Bull Terrier that I have known since she was a puppy and she deserves a collar as pretty as she is. 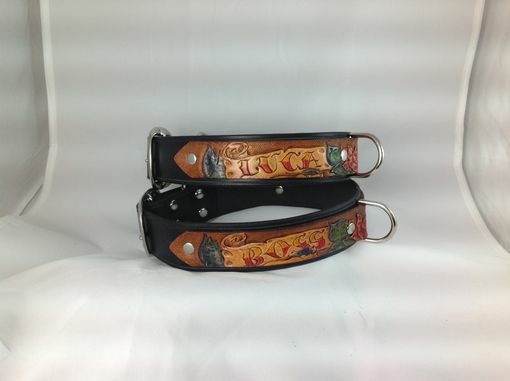 Your collar will be custom made for you, please allow 2-3 weeks for delivery. The design is drawn directly on vegetable tanned leather, then stamped and tooled by hand and painted with water based acrylic paints. When completely dry, a clear protective layer is airbrushed on. It is then attached to a 1 1/2" wide leather base with rivets. 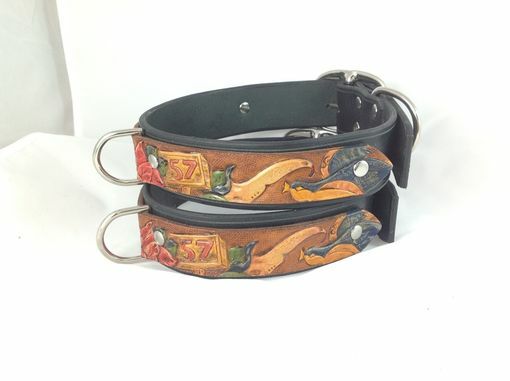 Because of the handmade nature of this collar please allow for slight variations.